IT spins the world, and the world spins around IT. In every country, in every field, IT has made a strong impact. In fact, IT opens the door to a whole new world and everyone wants, or should I say has to be familiar with IT. Today IT 'Information Technology' is the keyword and it has certainly come to stay. So, let's make you also a part of IT by making you computer savvy (cable to understand) first. Today, computers come in many shapes, sizes and designs, loaded with a wide variety of information packages. All you've got to do is move the mouse about, point the cursor to whatever you want to explore, and a whole new world of information unfolds before you on the screen via the internet. Just amazing, isn't it? Many of you must be having your own personal computers and are experts at operating them. First of all, we will trace the origin of computers which have come a long, long way since it was first thought of. We will also get down to some basics such as how computers are able to talk and listen to us, what kind of language a computer really understands, the level of intelligence of a computer, the difference between memory and storage and so on . . .
You may think that the computer is a new invention. 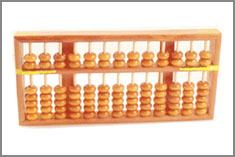 But, you will certainly be surprised to learn that the concept of a computer was present in this world in the form of the Chinese abacus, and a design which is approximate to the present computer was thought of way back in the 1800s. A British inventor named Charles Babbage conceived a machine that could be programmed to carry out different calculating operations in 1833. The 'Analytical Engine' he designed had the basic calculating features of a modern computer. It was a mechanical computer, containing complex (complicated) systems of shafts and gear systems. However, only part of this machine was ever built as the engineering expertise required to complete it was far beyond the techniques available in that era; Babbage's 'computer' was a century too soon! He passed away in 1871 without knowing whether his machine would ever work or not. Then, in 1943, the first 'computer', a British wartime decoder called the 'Colossus', was built. It used electronic components to function, like modern computers, because mechanical operations were too slow. was kept a secret until the end of the war. It was a massive machine, hence the name Colossus. However, modern computers occupy only a fraction (small part) of the space which was needed to house the Colossus. 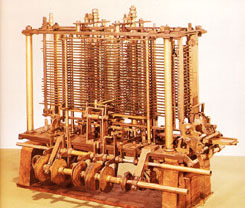 So, one could say that the Colossus and all the other computers we see today are descendants of Babbage's Analytical Engine. 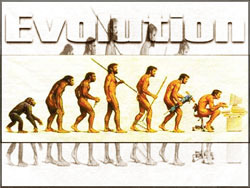 However, change is something which is a certainty in this world, and the computer technology is one of the technologies which underwent one of the most dynamic forms of evolution. This comparatively rapid growth is categorised into five generations to enable a smooth study on this evolution. Therefore, in our next article, we shall see how computers evolved through these generations, along with a detailed timeline of the happenings.